REPLACING Kieno Kammies on his eponymous morning drive show on Monday morning, Africa Melane had the wisdom to invite a representative from Brand South Africa, formerly known as the International Marketing Council of South Africa, for an interview. He asked her to explain Brand SA’s view on the impact of the still-unravelling Fifa movie script on our country’s image. This being a topic close to my heart, I took my focus away from everything else that I was doing at the time and listened intently to her answer. Needless to say, she totally disappointed me. But then, I have to admit that it was completely naïve of me to expect that a representative from Brand SA, an organisation whose very existence depends entirely on funding by the National Department of Communications, would outdo Police Minister Nkosinathi Nhleko and bite the hand that feeds it. Nhleko recently took the cup when he declared to a simultaneously stunned and amused South Africa that the public funds that were diverted from other projects to fund massive extensions and refurbishments to PresidentJacob Zuma’s vast Nkandla private compound in KwaZulu-Natal would not be repaid to the state coffers. In doing so, he effectively brandished his middle finger in our collective face. We witnessed how he went on to expose himself to ridicule, describing a swimming pool, a cattle kraal and a chicken run as security features, incapable of stopping himself from sweating profusely in front of media cameras. The poor man was clearly following instructions. Asked how Brand SA was handling all the negative press resulting from the FBI investigations into alleged corrupt activities at Fifa, especially inasmuch as they implicated still unnamed South African officials, the Brand SA lady responded that there was nothing that her organisation could do, apart from waiting to see where all this would end. At face value, this seemed like a wise strategy to adopt. But it isn’t, and we’ll come back to this later. The slowly unravelling Fifa movie script is not the only development to cause negative press for South Africa in recent times. 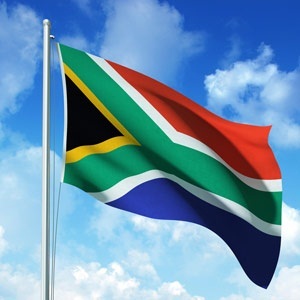 Our nation’s brand has been on the defensive for a number of years now, having to explain itself and justify the unjustifiable to the watching world that had come to expect only the best from what, just over a decade ago, everyone used to refer to as the amazing “new South Africa”. In fact, our country has been accumulating a series of brand embarrassing tendencies for a number of years now. Not very long after former President Mandela left office the robust brand edifice that had been carefully constructed under his watch – imperfect and incomplete as it might have been – began to crumble, piece by piece. I will not bore you with the list of all the brand blunders that we have made since Mandela’s departure from office. Now, returning to the captive Brand SA: I stated above that the waiting strategy is not the correct one because brand reputation management is not, like PR spin, a reactive exercise. Sitting back while all the media space is being occupied by negative conversations is unwise. We live in a very fast-paced media consumption era in which opinions – tested and untested – get propagated very quickly and assimilated into conversations that rapidly snowball into uncontrollable monsters. As a brand manager, if you’re not there early enough to influence content and tone, you might as well pack up your bags and go home. So, instead of folding their arms to see where the Fifa debacle is going to end, our highly-paid Brand SA managers should roll up their sleeves and come up with proactive messages – not cheap spin – and demonstrate to us and to the world that South Africa can still inspire new ways, in line with our country’s slogan. But then, I’m running ahead of myself here. In the best of worlds, the people whose job it is to protect and enhance our national brand reputation should also be able to rebuke and even sanction those whose conduct places our national brand into disrepute. They should be able to read them the riot act, remind them of our brand values and give them ultimatums. But we know that this will never happen because, like the police minister, they have to keep a careful eye on the side their bread is buttered on. I have known a number of people working for or sitting on the board of Brand SA over the years. In private conversations, some of them are independent thinkers who know what needs to be done, but as soon as they’re in the presence of cabinet ministers they start getting all submissive like meek sheep, afraid to overturn their feeding bowls. As it currently stands, Brand SA is more like a government propaganda machine lacking the independence to do what effective brand reputation managers do.